Narya Marcille Couldn’t Attend the 2017 Women’s March. Instead She Designed A Poster That Became A Surprise Icon Of The Protests. “The Women’s March was coming,” Narya Marcille recalls, “and I was furious about the outcome of the election and I had nowhere to put that energy. 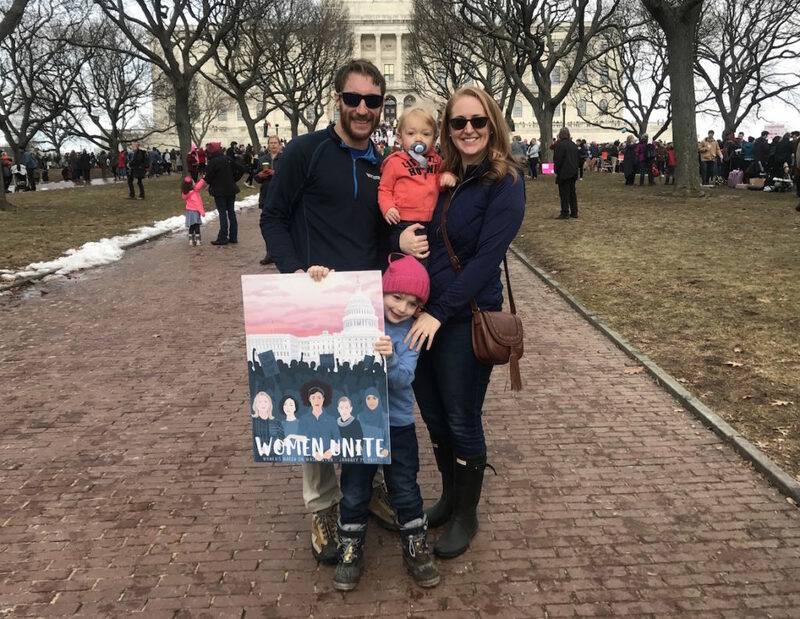 I so wanted to march.” She wanted to go to Washington, D.C., for the first national march, a year ago, but she felt she couldn’t take her 4-month-old son with her and couldn’t go without him, so she decided to stay at home in North Smithfield, Rhode Island. Then she saw a contest from Amplifier.org for posters it would print in mass quantities and distribute for the march. 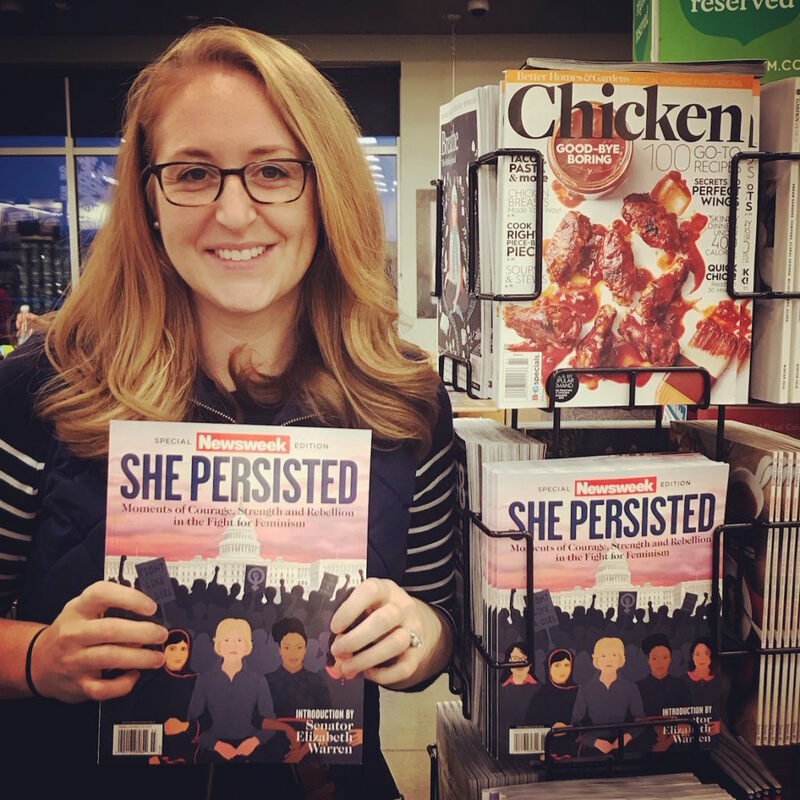 She created a design featuring Hillary Clinton, Supreme Court Justice Ruth Bader Ginsburg and a crowd of women marching on the U.S. Capital under pink clouds. “I worked nonstop on that one. I did the math and I think it ended up being 72 hours [over eight days] to get that one done,” Marcille says. 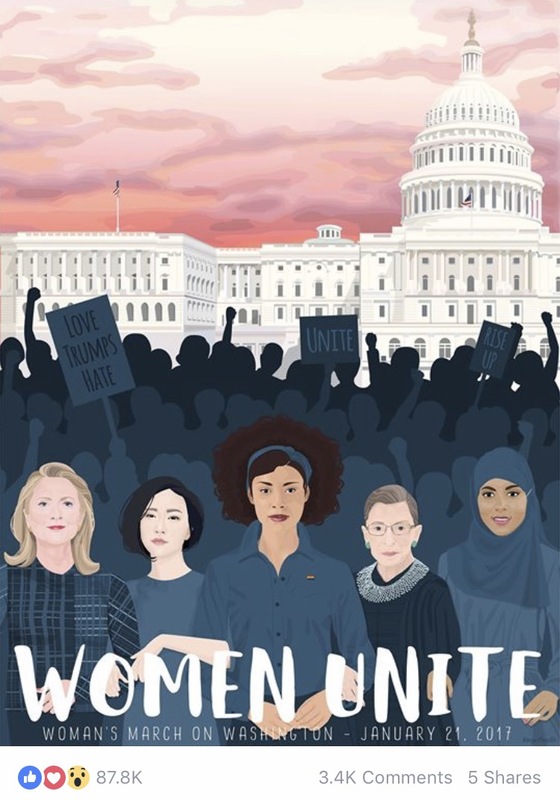 Her graphic—which reads “Women Unite” across the bottom—attracted more than 87,000 likes and nearly 3,000 comments in the closed Facebook group of Clinton supporters. 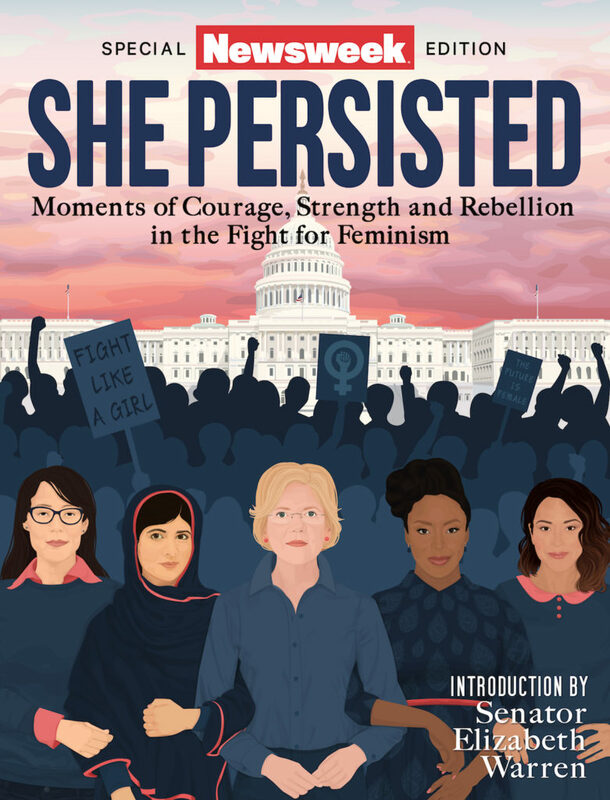 She turned it into a digital download that people could print out and carry at the 2017 Women’s Marches. It became one of the icons of the protests. Marcelle hadn’t planned on getting into graphic design when she studied at the University of Rhode Island. Instead she graduated with a degree in photography in 2005. But after working a series of odd jobs—bartending, selling jewelry, working at a kitchen and bath place—around 2010, she took a month-long, online course to learn the graphic design program Illustrator. “I started doing portraits of friends and family, trying to get to learn the program better,” Marcille says. And she began designing advertisements for some of the places she worked. A year after the first of her two sons was born in 2013, the now stay-at-home mom got back to graphic design by creating monthly events calendars and other graphics for a local baby things shop. Help us keep producing our great coverage of local activism and arts by contributing to Wonderland on Patreon. And sign up for our free, weekly newsletter so that you don’t miss any of our reporting.